We almost missed our train from Agra to Varanasi because of waiting at the wrong platform. If it wasn’t for the man who yelled on us that the train that had arrived was bound to Varanasi, we could have missed it and our strict itinerary would be messed up. After a few seconds when the train stopped to drop and pick up passengers, it started to horn signalling that it was about to depart. We ran as fast as we can with our 10 kilo of baggage with us to make it to our designated train coach. It then started to move. We ran quickly. I was able to get in first, then lend my hand to Paula as she ran hastily just to make it to our coach. It felt like we’re in an action movie. It is one of the moments in India that we will never forget. It was a sigh of relief when both of us were able to make it. It was around 10:00 AM the next day when the train arrived at Varanasi. I had set my expectation about the place on how disorder and crowded it can be but setting our foot here gave us an actual experience how chaotic it is. Let’s say, the train terminal made it us our first encounter. Looking for an auto rickshaw in the past destinations that we’ve been to in India was a challenge for us, what’s more in Varanasi. People were everywhere, streets were too cramped. But those kind of scenes made me feel that this is India, I’m in India.We hailed an auto rickshaw outside the terminal and told the driver to take us to Ganpati Guest House which is located at Meer Ghat. He told us that he can only drop us at the main street as only human rickshaw are allowed to get in to the crowded street towards the river, and we can walk for about 15 minutes to get into our guest house. After traveling the street for 15 minutes the driver dropped us in a junction and told us the direction to reach our guest house. We then walked towards the route that he instructed to us. We walked the street of Chowk Godowlia Road, together with hundreds of locals that seems like on a pilgrimage. I’ve noticed that almost all of them were bringing luggage filled with clothes. I was bewildered at first why all of them were bringing such amount of clothing, then suddenly I realised that they might be heading to the river to wash it. Half an hour had already passed but there’s no sight of our guest house exists in the area. I told Paula to wait for me in one of the stores and I’ll look for it by myself as it’ll be easy for me to navigate the area without my bags with me. But after few minutes of walking through the main road, I can’t see any sign that our guest house is just located in the area so I went back to Paula and told her that it’ll be better if we just ride a human rickshaw to take us to our guest house, and so we did. After a few minutes, the driver then dropped us in another junction telling us that rickshaws aren’t allowed in the street towards our guest house anymore, that we have to walk for a few distance to reach it. 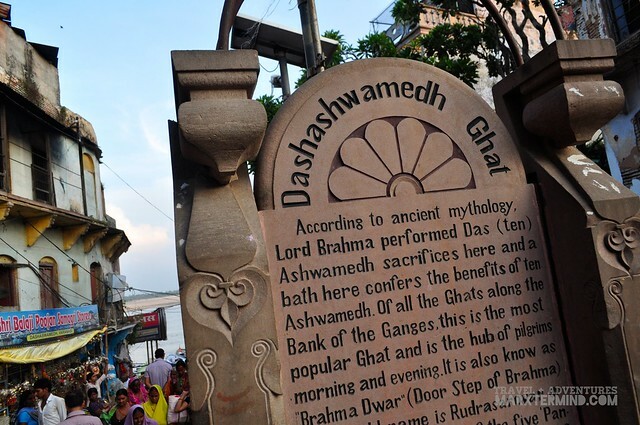 We then walked the street of Dashashmedh Road which leads to the main ghat. The scene at the street became more chaotic. 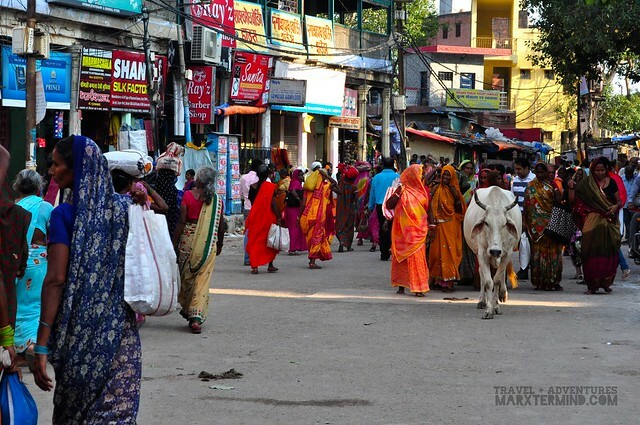 People, street vendors, tourist traps, cows and cow poop are everywhere. When we reached the near end of the street, we then asked around about the whereabout of our guest house. A lady vendor responded that it was located along the alley so we walked towards the alley. While walking towards the direction that the lady instructed us, we’ve met a man who works at the guest house, he then accompanied us to get into the place. It took us about five minutes to walk through the confusing and winding alley for us to reach the guest house. The guest house is situated facing the river that walking through the alleys is the only option to reach it. It was already lunch time, so after having our room we went to their restaurant and ordered food to fill in our hungry tummy. 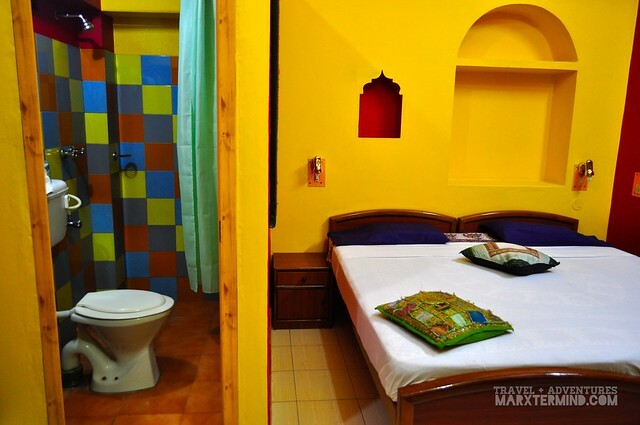 Ganpati Guest House is situated at the heart of Varanasi, sitting in a quiet suburban setting. 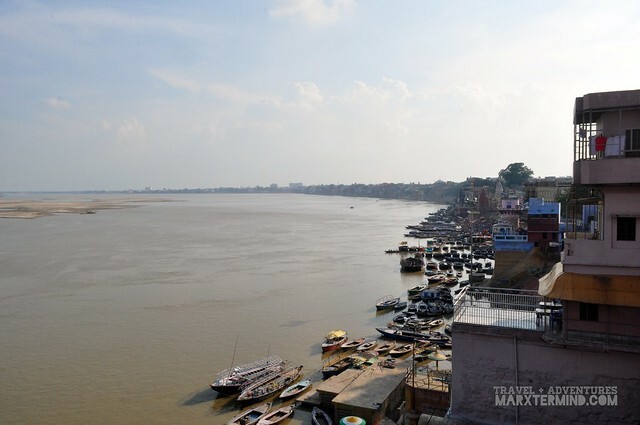 Through its deck, the guesthouse gives its visitors the famous sight of the Ganges River. 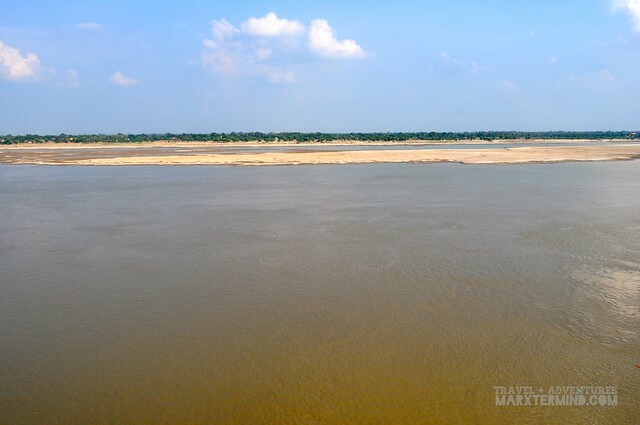 Ganges River or River Ganga is a major river in India. It is considered holy which associated with myth and reality with the land and people of the country. 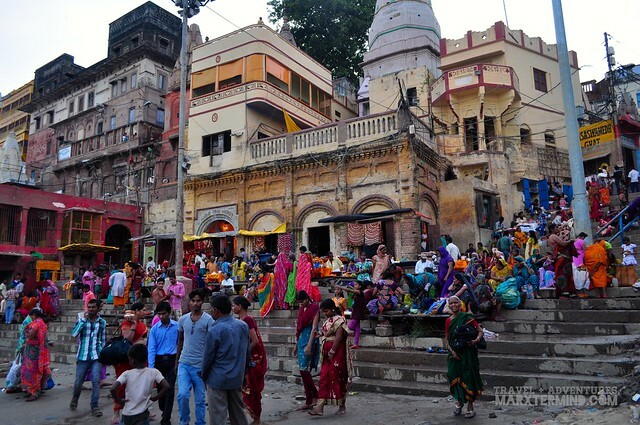 In Hinduism, the river is said to be personified as Goddess and holds an important place in the Hindu religion.We don’t have much time to spend in Varanasi, so after taking our lunch we went out and walk through alleys and ghats to see the famous sightseeing in the area. We were supposed to visit a temple but chickened out to enter as it feels like we will be intruding a ceremony or something so we’ve decided to move on to see the first ghat, Manikarnika Ghat or also known as the burning ghat. 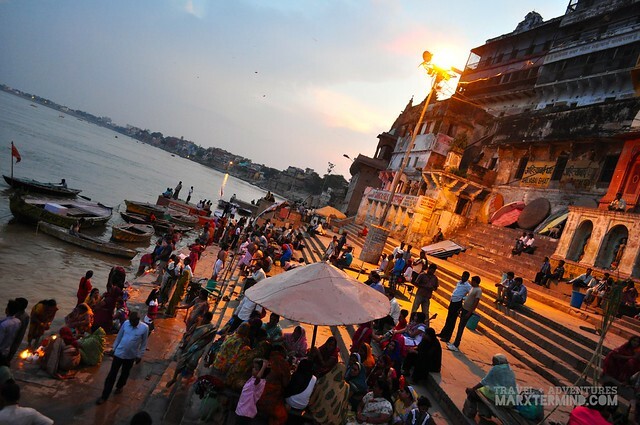 The ghat is most known for being a place of Hindu cremation. 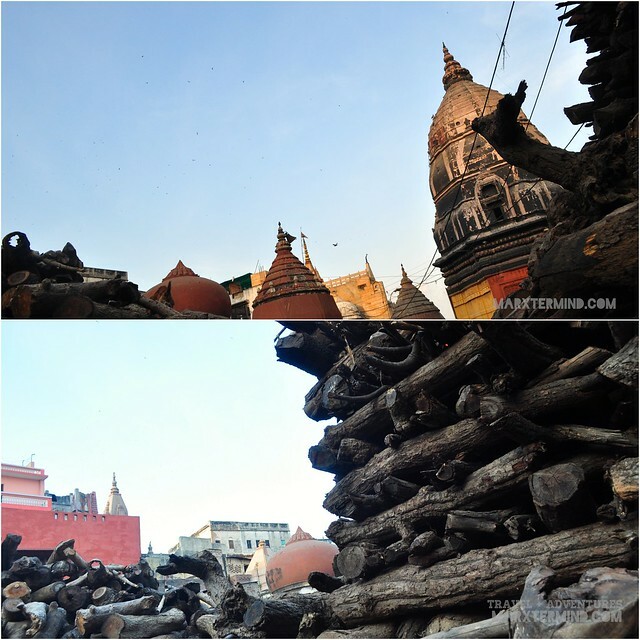 It is the primary cremation ghat in Varanasi. 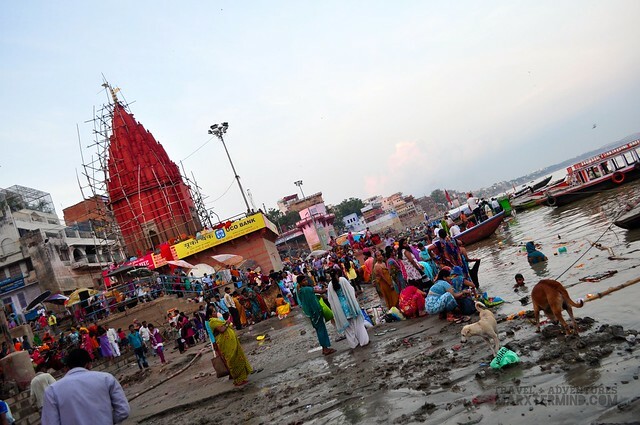 According to the Hindu mythology, the ghat is especially sacred and that persons cremated there receive moksha. It means emancipation, liberation or release. In eschatological sense, it connotes freedom from samsara, the cycle of death and rebirth. We were told that taking pictures of bodies being cremated isn’t allowed. You have to ask permission and give donation to the family to take pictures of the cremation. When visiting this place, there’ll be “volunteers” or guides that will welcome you and offer a “free” talk about the ghat and all but later on will ask for a donation. I have to admit, in all fairness, they are knowledgeable and are very accommodating on whatever questions that we had relating to the ceremony and the holy river. 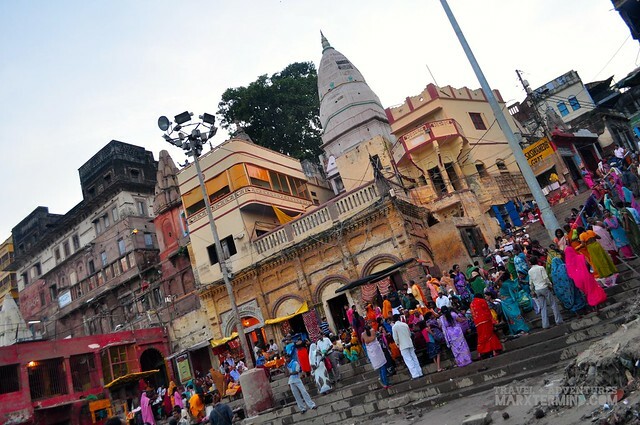 Dasaswamedh GhatDashashwamedh Ghat is the main ghat in Varanasi on the Ganges River which is located close to Vishwanath Temple. This ghat said to be probably the most eye-catching ghat in the area. It was nearing night time when we reached the main ghat. We were welcomed with another chaotic scene. People were still around, still crowded as it is. People were mostly on the river taking a bath, washing the clothes and having a boat ride. We’ve decided to stay inland. It might have been the tiredness that I was feeling that day thus not to appreciate the scene that welcomed us but then, it brought me back to my purpose of visiting India – to unbelievably see and embrace its culture and tradition amidst of its chaos. 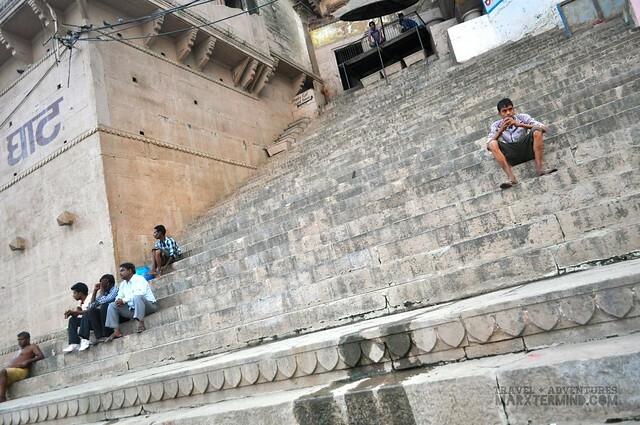 We went at the right side of the main ghat and walked through the steps. We watched and observed the people in the area, which is most likely the best activity to do – to see what goes on in the area, how do people living on this country contain this amazingly remarkable tradition and how the river influences their life. 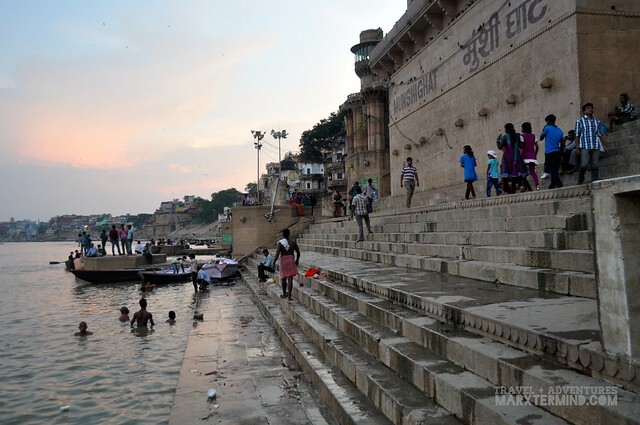 It may feel eerie for others to see people dip in the water of Ganges river – imagining how polluted it is with dirt coming from everywhere but I have nothing but respect on how people in India maintain and regard the tradition and its holiness. A tradition envisioned to pass from generation to generations. 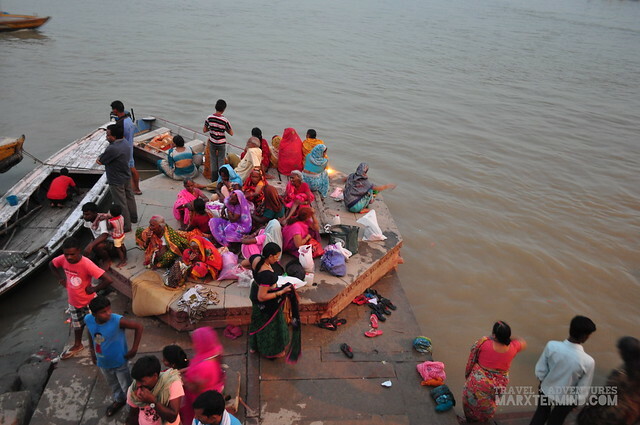 There are still other ghats in Varanasi that can be visited but we didn’t have much time anymore so we’ve just spent the rest our time in the main ghat and waited for the night Puja ceremony to start. 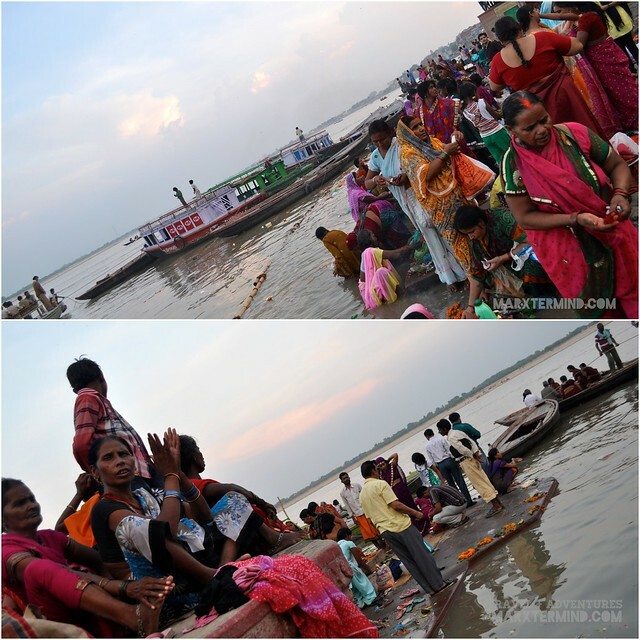 At around 6:00 PM, people gather around the main ghat to witness the night puja ceremony. 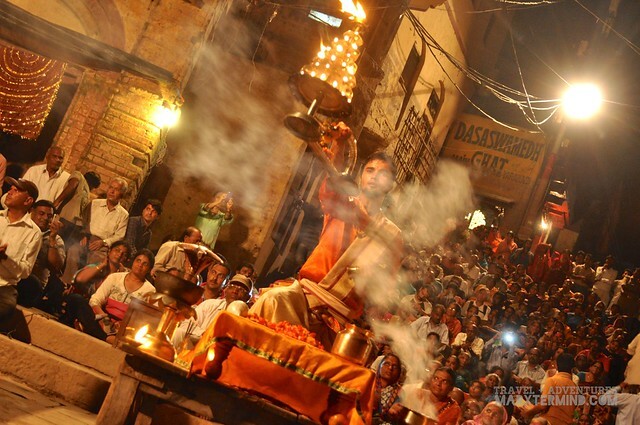 Puja or also known as Ganga Aarti Ceremony is a ritual call happening every night right on the banks of the Ganges River. The ceremony is being conducted by Brahmin, who are traditional Hindu societies of India, Nepal and The Far East. It was said that during the day, they study but every night they conduct the ceremony, presenting flowers, incense and food to an image representing the divine spirit. 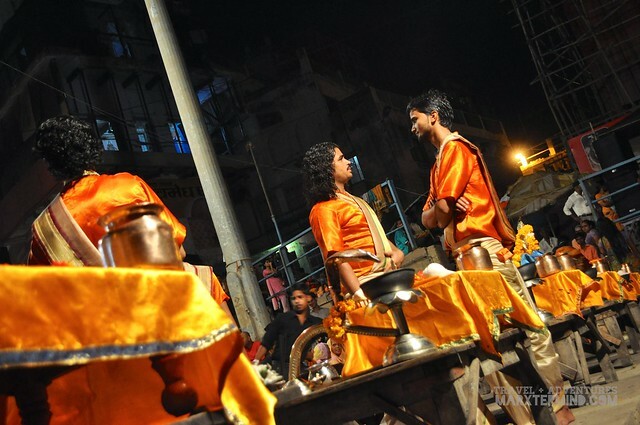 The ceremony also contains performing several rituals with the combination of music, bells, and drum. 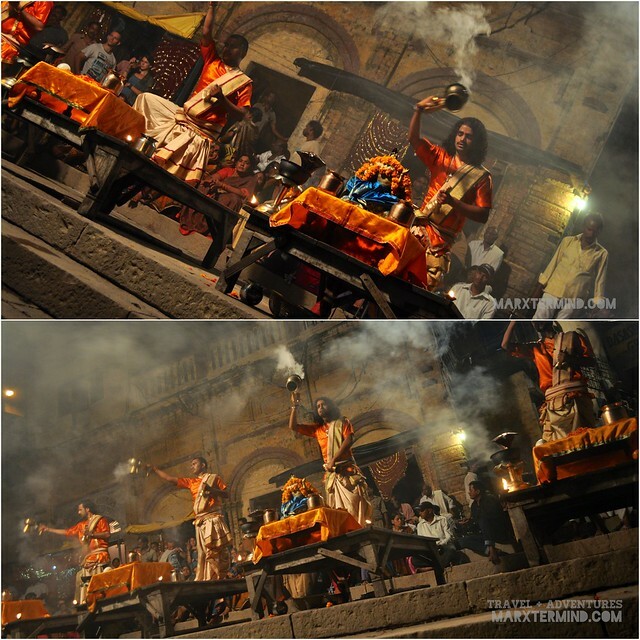 After finishing the ceremony, we went back to the disorderly main road of Varanasi and searched for a place to eat. After half an hour of not finding any appetizing for us, we gave up and went to a nearby famous fast food and had our dinner there. It was already nearing 10:00 PM when we were able to go back to our guest house. 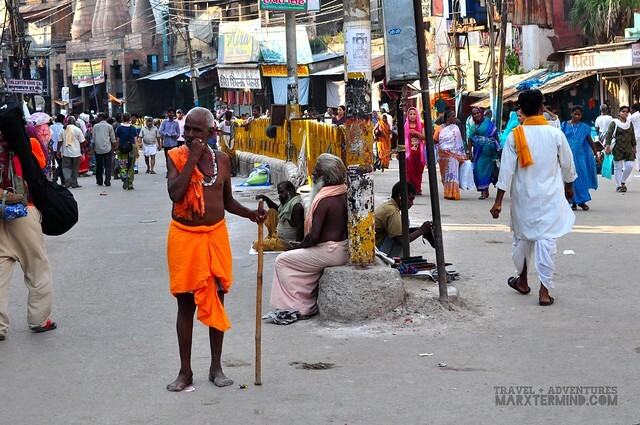 Our jaunt in Varanasi showed us the realization of how confusing, unkept and complex the place is but it’s not the main awareness that we had gotten during our visit but it opened us up on how diverse and devoted the people of this country are. 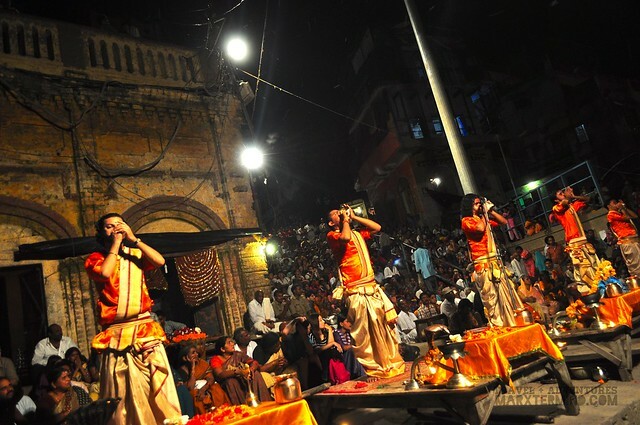 Varanasi is a city in India not only known with beautiful temples and gorgeous river fronts but a place full of myth and tradition. 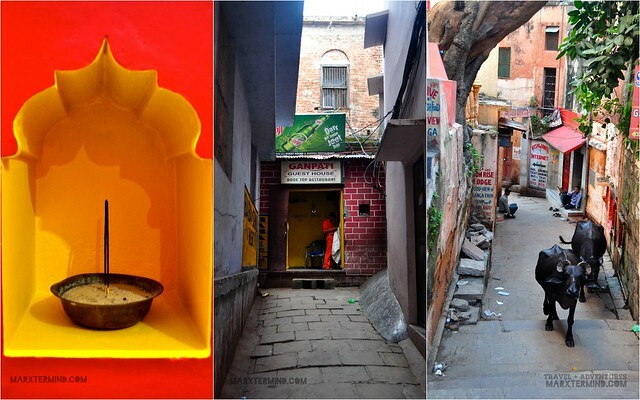 If you’re a person that seeks for a true Indian culture experience, then this place is a must go destination for you. A place to experience unimaginable things in the middle of chaos. Its the chaos that makes the place very interesting to visit to. 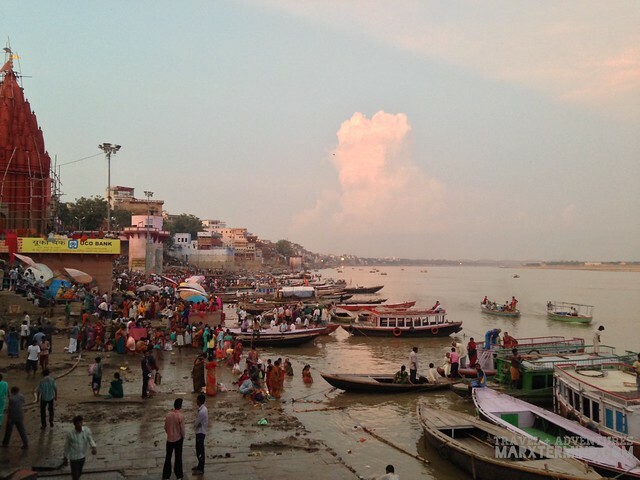 I'd love to visit Varanasi again! Just say it. 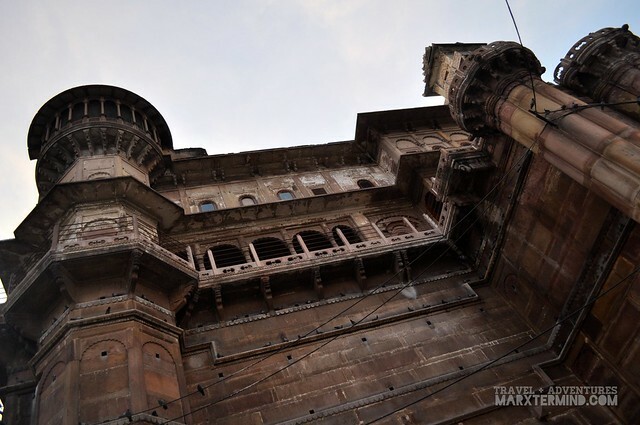 Varanasi is absolutely overwhelming. You read articles about how a place assaults the senses. 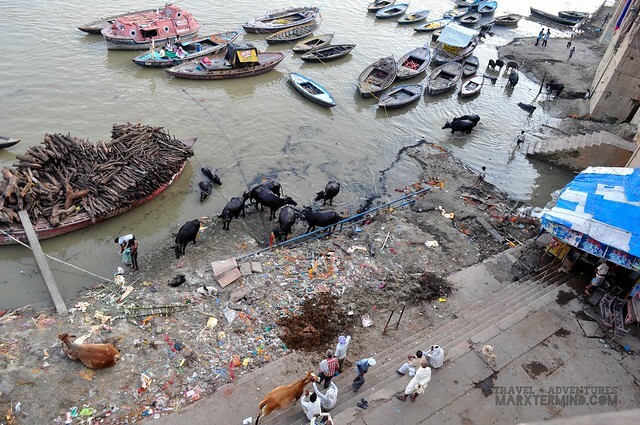 Varanasi is just that, isn't it? Only 10 times more. :)) Thanks for bringing me back. Great post.